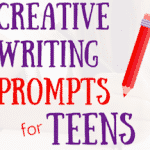 List of Creative Writing Ideas for High School Students — Below, we have outlined 30 writing prompts that are relevant to students’ lives and that will spur critical and creative thinking. 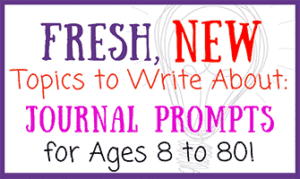 Each prompt can be used solely for journaling or expanded into a unit of study. By the time high school students walk into ELA classrooms, they aren’t exactly new to the world of writing assignments. They’ve trudged through the narrative essays, and they’ve most likely practiced the art of persuasion, short story creation, poetry, and non-fiction writing. 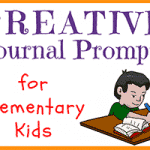 They have probably journaled, summarized, analyzed, and reflected in their educational journaling endeavors as well. 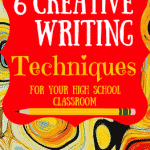 So how can you ignite the spark so that students are enthusiastic about writing? What can secondary teachers offer that is new and exciting? 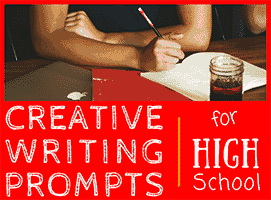 We suggest inspiring your students with fresh, fun, and creative writing prompts! 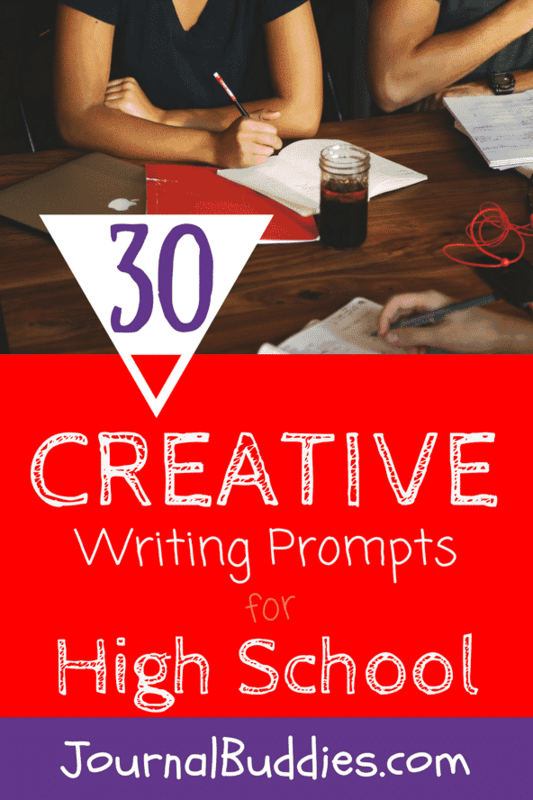 Because we think it’s important for students to play with language, you’ll notice that some of the writing prompt outlined below are more whimsical and playful, whereas others are more serious.Ok, without further ado, here are those 30 creative writing prompts for high school students. Choose one from each list to make a creature – animal combination. Craft a scene in which this creature appears as the main character. 2. Many students love TED Talks and there are a lot of great ones to choose from. Launch the “Inside the Mind of a Master Procrastinator” Talk. Consider what makes it powerful. Choose a tidbit of wisdom or insight from your own life and create your own TED Talk. 3. Select a color and personify it. What does it taste like and sound like? How does it move? What does it want and fear? What special powers does it have? 4. Imagine you are graduating in several months. 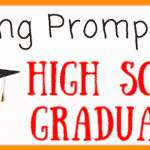 Write a graduation speech to your fellow students. What would you say to inspire them? 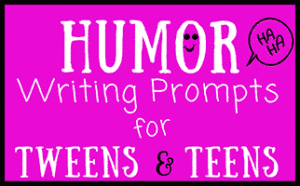 How would you make them laugh? What would you like them to remember? 5. Envision a future in which you have a personalized robot who does all of your work. What features would your robot possess? How would you interact with it? What would it be capable of doing? 6. Create a brand new holiday. How would people celebrate the holiday? What traditions, foods, and decorations would accompany it? 7. 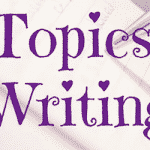 There are a lot of different types of blogs. 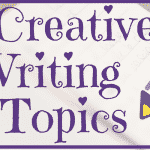 Choose a topic that you’re interested in and create a list blog about that topic. It may be a “Top 10 Things You Should Know About X” or “What I Wish I Didn’t Know About X” or any other list-form blog that you can imagine. 8. Reflect on your own worst family vacation. Write about it as though you are a fly on the wall and describe what happened. 9. List as many words as you can think of that begin with your favorite letter of the alphabet. You can include words from another language as well. 10. This prompt is inspired by NPR’s old radio series “This I Believe.” In the show, people from all over the world send in messages expressing a core idea that can be serious or silly, such as “I believe in mechanics.” They then expand on that thought with specific, brief examples of why they hold that belief and how they came to believe it. Use powerful and descriptive sentences to capture your own “This I Believe” statement. For examples and an expanded lesson plan, take a look at NPR’s Lesson Plan Description. 11. Describe a dream that you’ve had while asleep. 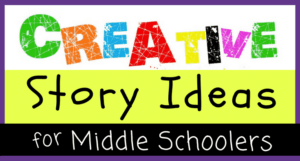 Make it come alive with vivid imagery and sensory descriptions. 12. Choose a social justice issue that matters to you. 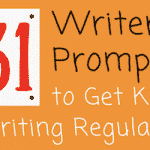 Write as though you are directly impacted by that issue and describe what people should do to support people like you. 13. What do you think about when you’re trying to go to sleep? Turn it into a piece of writing. 14. 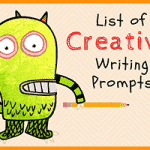 Write from the perspective of an inanimate object that you see every day. What desires does that object have? What does it wish humans would do? 15. Write to someone in a country you know very little about. What would you want to know about them and their country? 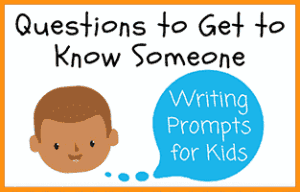 What would you tell them about yourself? 16. If you were invited to contribute five items to a city time capsule to be opened in 50 years, what would you include and why? 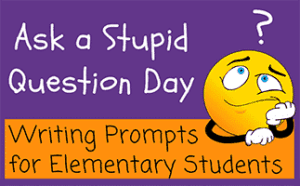 17. Who hasn’t been represented on the United States postal stamp, yet deserves recognition? Whether your example is serious or ridiculous, provide at least three arguments in support of this person’s inclusion. 18. What is your favorite word and why? 19. If you had to choose a different first and middle name for yourself, what would you choose? How would having the different name impact your life? 20. Choose a subject that is not currently taught in school. Why should it be taught? What type of person should teach it? Why would or wouldn’t you want to take the class? 21. What song gets stuck in your head? How does it make you feel the first time you hear that song? The hundredth time you hear it? 22. What life lessons has adversity taught you? 23. If everyone would just go away for a day, what would you choose to do with your time? Why? 24. If someone wanted to really irritate you, what paid job would they make you do? 25. How do you relieve stress? 26. Do you perform better when you are competing or collaborating? 27. When is your most productive time of day? Season of the year? 28. In what ways do you submit to peer pressure? 29. What are some ‘words of wisdom’ that guide your life? 30. How much does your neighborhood influence you?